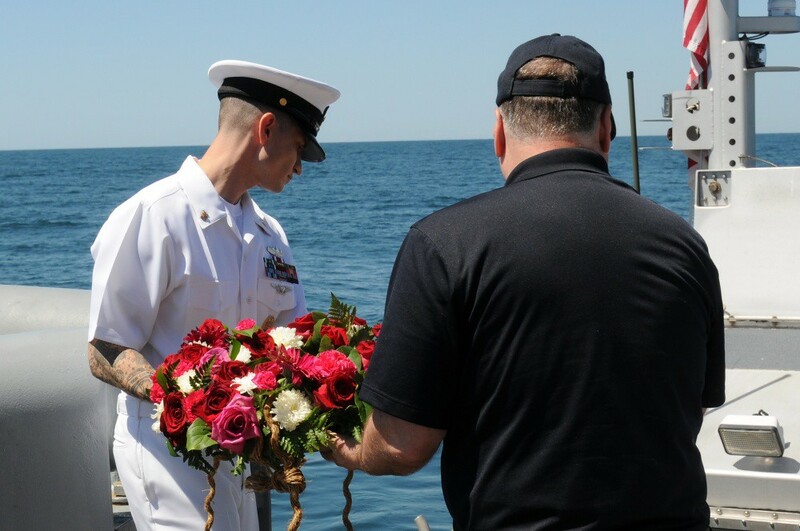 The U.S. Navy held a wreath-laying ceremony honoring the 100th anniversary of the loss of the World War I cruiser USS San Diego (ACR 6), on which six American Sailors lost their lives off the coast of New York, July 19. 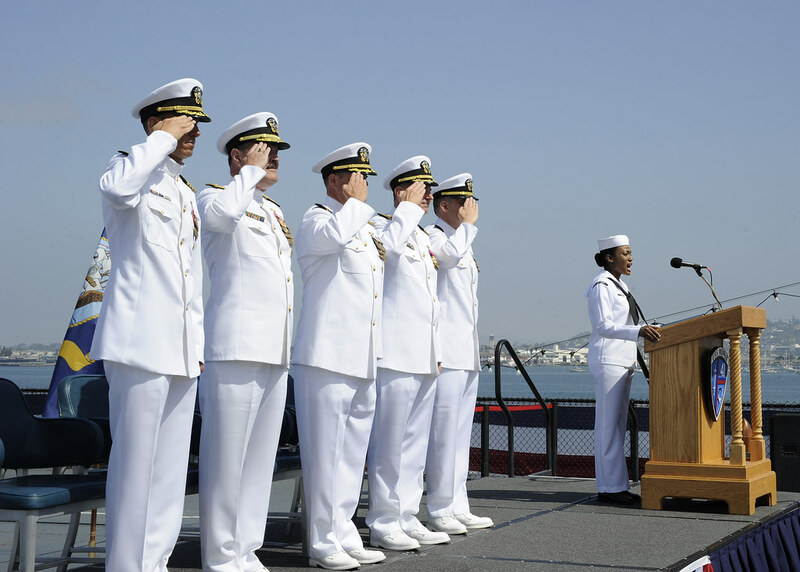 SAN DIEGO (NNS) -- The crew of amphibious transport dock ship USS San Diego (LPD 22) held a change of command ceremony June 22, aboard the USS Midway Museum. 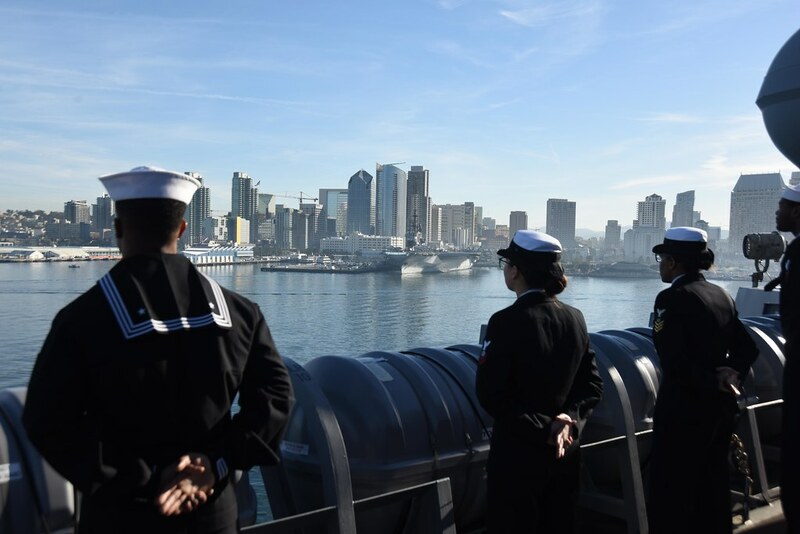 For the first time, the amphibious transport dock ship USS San Diego (LPD 22) arrived in Puerto Vallarta, Mexico for a regularly scheduled port visit, April 6. 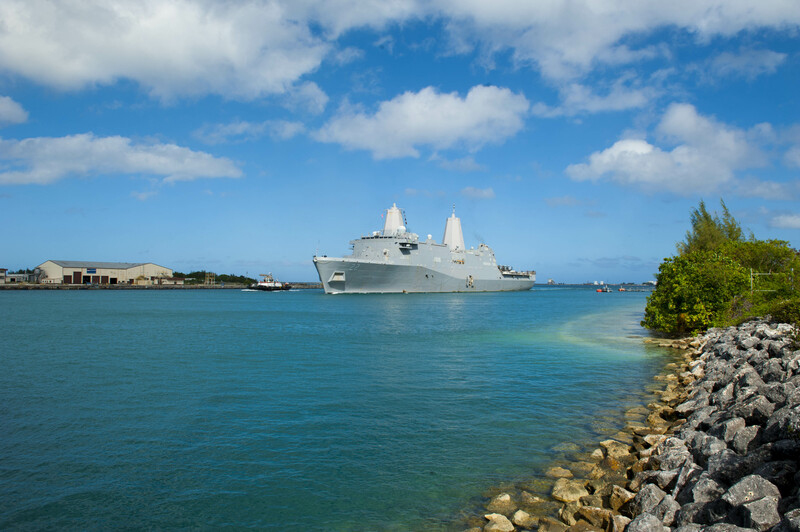 NAVAL BASE GUAM (Jan. 9, 2018) – The amphibious transport dock ship USS San Diego (LPD 22) and embarked 15th Marine Expeditionary Unit (MEU) arrived in Guam for a scheduled port visit Jan. 9.